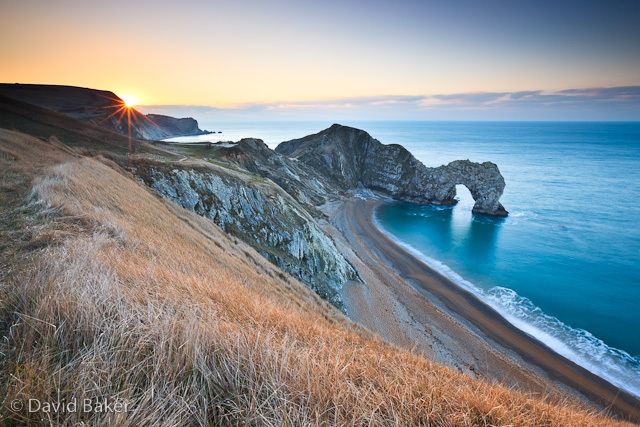 Shot early this morning, Durdle Door is one of my favourite places on the Dorset Coast, and I’m lucky enough to live within 20 minutes of it. Unfortunately with such easy access it is probably the most photographed location in Dorset and trying to come up with something fresh and new is an impossible task as every angle has probably been covered by countless photographers. But does that mean I should stop photographing it? ~ by David Baker on 7 March, 2010.